We are extremely pleased to report that Barbara Reed’s enormous contribution to records management standards development has been officially recognised by Standards Australia. 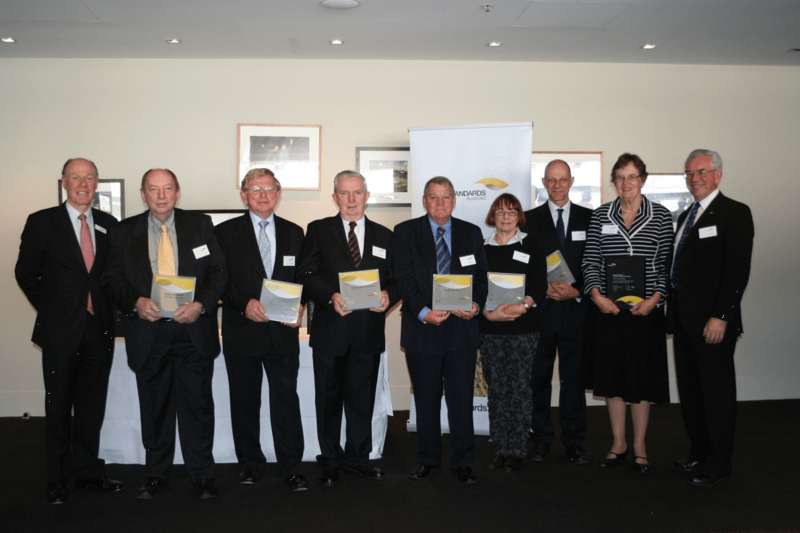 On 1 June 2012 Barbara was awarded the Meritorious Contribution Award (International) at ceremony in Melbourne. Barbara has worked exceptionally hard over many years on the development of international records management standards. Having been one of the key developers of the Australian Standard on records management, AS 4390, Barbara chaired the international working group that translated AS 4390 into the first ever international records management standard, ISO 15489-1:2001 Records management – Part 1: General and ISO/TR 15489-1:2001 Records management – Part 2: Guidelines. ISO 15489 is now used by fifty countries across the world and has been translated into 15 languages. Here at State Records we think that Barbara’s work deserves acknowledgement because she, and the national and international committees she is part of, have done a tremendous amount to raise the profile of records management across the world, and to codify and formalise records management processes and requirements. These committees have worked hard to emphasise the high level and strategic role that records management should play in all organisations and to identify the unique role that records management serves in the broad information landscape. Through their work these committees have helped to formally define what we as records managers can contribute to our organisations and the specific skills and values that we bring. The standards that they have developed have helped to legitimise and formalise our profession in many nations around the world. But standards developers never sleep! Barbara told us that the ISO committee’s next big project involves reviewing ISO 15489 to ensure its ongoing relevance. The committee will also develop advice on records management risk, record conversion and migration, and possibly cloud storage. The committee will also continue to promote its new standard, ISO 30300: Management systems for records which outlines the business management methodologies and commitment needed to sustain strong organisational recordkeeping. So congratulations to Barbara for receiving the recognition she deserves, and to all her Standards Australia and International Standards Organization colleagues on their achievements.